In my younger days, I was a competitive swimmer and diver. One thing I learned was that you have to get a good start off the block, stay consistent and focused and as you get to the final lap, you give it all you've got to touch the wall before anyone else does. For me, the most exciting part of a race is the last lap, when the adrenalin kicks in and you give it all you've got! What a rush!!! In real estate, it’s the same way. Reaching your goal requires you to get off to an aggressive start, remain consistent along the way, and to give it all you've got to the very end, and if necessary, kicking it up a notch to come out ahead. You never know how much you can accomplish until you give it more than you ever thought you were capable of giving. Well, my friends, it is time for me to finish my last lap in Houston County. 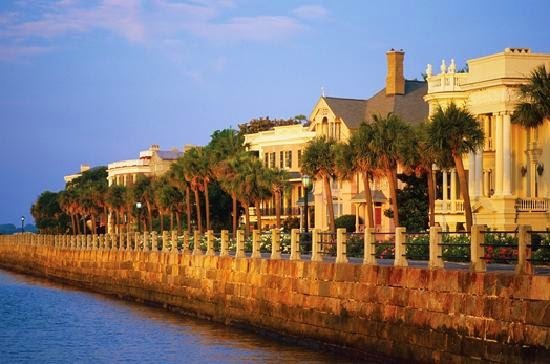 My family and I will be moving to Charleston, SC in late August-early September, 2014. Never one to hold back and tread water to pass the time, I will be going full speed ahead to the very end, especially with my real estate business. This means new buyers and sellers to the very end, then referrals after that! When it comes time to say goodbye, I will be leaving my clients in the care of one of my amazing Golden Key colleagues. I will hand-pick an agent to take care of your real estate needs, and I will be just a phone call away when you need me! I have chosen to transfer my license to Carolina One Real Estate in the Charleston area, but will still be available to you for referrals in and out of Houston County! Leaving is bittersweet. While we are excited about our new adventure and what lies ahead, my family and I are sad to leave our “framily” that has grown exponentially every year. We have been blessed with the most amazing friends, many of whom started out as my clients. Each and every friend and colleague I have had the pleasure to meet has played a huge part in making me the person I am today, whether it be in my personal or professional life. I have God to thank for the time we have spent here, and for the people that He has put in our path over the years. So from the bottom of my heart, thank you for crossing my path and being YOU! God has always been the Captain of the boat in our journey over the years, and now He has chosen to turn the direction of the ship, and sail us on over toward the East Coast. I have seen the good, the bad and the ugly sides of real estate. I have seen a strong and healthy market, and I have seen one that was more like struggling through a horrendous storm. I have laughed with my clients, and cried with my clients. (Yes, there are tears in real estate---I have been so frustrated that I cried myself to sleep at night when I couldn't "fix" what just wasn't meant to be.) I have been mentored. I have been a mentee. I have been a student, and I have been a teacher. I have obtained certifications, designations and more continuing education than the law requires. I have been part of your family as you went through, not only buying and selling your homes, but in sharing all that life has to offer: marriages, divorces, celebrating new life and remembering and honoring lives that have been lost. We have celebrated birthdays, engagements, graduations, championship ball games, weddings, sunsets and Saturdays. My time here has certainly been productive, rewarding and unforgettable! Life has been good, and I am blessed. But now we come full circle. Eight years ago, I was the new kid in town. And as a seasoned resident and Realtor®, I have become a bit of a "Welcoming Committee", ready to lead my clients to every resource you could possibly need. Now it is time for a new adventure in a new town, and I will be the new kid on the block again. (My new Face Book business pages will officially begin sometime in late August/early September, so be on the look out! I hope you will join me along the way, and hopefully you will come visit me along the beautiful coast in South Carolina!) I will be putting our house on the market in the next few days, so stay tuned for more info and details on that! If you are in the market (or know someone who is) for a great home in a fabulous neighborhood with amazing neighbors, let me know! Anyone that knows me well knows I don't do "good-byes," because I get all sappy and cry. My mascara will run and I will get my “Tammy Faye” look going on. Of course I will probably have to stop by Kroger on the way home to pick up some milk or something, I will run into everyone I have ever known in Warner Robins, and they'll wonder why I look like a train wreck. So I don't do "good-byes." I do "See you soons"! So until then, I remain, humbly thankful for our paths crossing, the times we have shared and the memories we have made. Getting Ready to Show Your Home! ---Make all beds, as soon as you get up. Please note: Be sure you keep clean sheets on the bed, by washing/changing them at least once a week. The scent of stale linens creates an unpleasant distraction. ---Make sure all dishes are in the dishwasher or have been put away. ---Keep the kitchen and bathroom counters and appliances wiped off. Disposable disinfecting wipes are a great convenience to have under all sinks. ---Toilet should be flushed and lids should be closed. ---If you have random clutter, toys or clothing laying around, grab a laundry basket, toss everything inside, and throw it into your car before you leave the house. You can sort and put everything away later. ---Put out the fresh, decorative "showing-only" towels in the kitchen and bathrooms. Again, please note: Remove any "soured" towels from the house during showings to prevent distraction from unpleasant odors. People have a tendency to "label" houses. You don't want to be labeled and referred to as the "Sour Towel House." Extra trick of the trade: In a pinch, wipe down the door facings with a pleasant, fresh-smelling cleaner before the showing. House will smell clean and fresh as guests walk through the door. ---Vacuum all floors, no matter the floor covering. ---Hit the tile and vinyl floors with a quick mop----Best way to keep it fresh is to use a Swiffer. You don't want to take chances you might have a soured mop. ---Wipe off mirrors and glass surfaces with a fresh-smelling cleaner/vinegar and water product. ---Give the toilets, sinks, tubs and showers a quick swish and swipe on all surfaces, top, bottom, inside and out. Don't forget to close the lids. ---Make sure all laundry is folded and put away. If you have any dirty laundry and not much time, put it into a basket and stash in your car. No one wants to see your dirty laundry. ---Flip on some subtle, soft background music. No heavy metal, head-banging rock and roll, please! If you parents or grandparents would call it "racket", put on something more soothing! ---If you have potted flowers or plants at the front door, make sure they are pruned of dead blooms and leaves, and have been watered so they will be perky---no droopy first impressions! ---If your agent prepares materials for your showings, (message me for more details) make sure you have them out and accessible for the buyers to take. ---Take it easy on the aromatic plug-in devices and candles----Many people have sensitivities to these. Overdoing it on the artificial scents can appear to be a cover-up for something. Get in the car, head out and relax. You did your part, now hopefully your agent will call you with excellent feedback, or even better? An offer! Ready to list your home for sale? Give me a call at 478-973-2684. And don’t forget to visit me at my website: www.janiepughsellshomes.com to make use of not only my Seller Showing Checklist, but my many other useful tips for selling or buying your next home!